Although the battle seems to be between who was a deist and who was an orthodox Christian the situation is actually a bit more complicated because Unitarianism was a significant factor at least in early New England, especially around Boston. 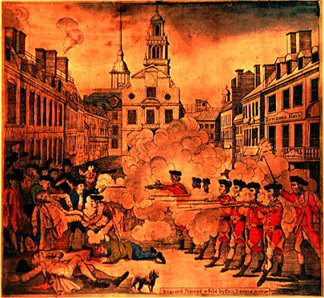 John Adams was a lawyer and he defended the British soldiers (although Adams was a radical patriot himself) for their role in the so-called Boston Massacre. He uttered the famous words, “facts are stubborn things.” Six of the soldiers were acquitted because of Adams effective defense based on the facts of what really happened. For a more through explanation on Unitarianism please click on the website for CARM (Christian Apologetic and Research Ministry). Unitarianism is the belief that God exists in one person, not three. It is a denial of the doctrine of the Trinity as well as the full divinity of Jesus. Therefore, it is not Christian. There are several groups that fall under this umbrella: Jehovah’s Witnesses, Christadelphianism, The Way International, etc. Another term for this type of belief is called monarchianism. In the context of universalism, the Unitarianism discussed here is that belief that denies the Trinity, the deity of Christ, the personhood of the Holy Spirit, eternal punishment, and the vicarious atonement of Jesus. Unitarian universalists use many biblical concepts and terms but with non-biblical meanings. Unitarianism is not Christian. The first paragraph of the definition of Unitarianism is important in our context. Early Unitarianism evolved out of the Congregational Churches of early New England most of which were Calvinistic in theology, a theology that stressed the sovereignty of God in all things and the Doctrines of Grace. The Unitarians rejected these doctrines and rejected the teachings of the 1st Great Awakening led largely by Jonathan Edwards and George Whitefield, both Calvinists. It’s not too much to say that Unitarianism was a rejection of Calvinism but it didn’t happen all at once as the issues were debated within Congregationalism for some time. Early Unitarians rejected the Doctrine of Trinity and the Doctrines of Grace especially the teachings regarding what is called total depravity and election or predestination. They also confused the issue between faith and works. They believed they were returning the church to its earliest forms and so rejected the Athanansian Creed that I mentioned in an earlier installment. The second and third paragraphs above make mention of the Unitarian Universalist Association and makes the judgment that this group not Christian based on the denials mentioned in the first paragraph. The wrinkle if you will is the belief that all are saved in the Unitarian Universalist camp and there is no hell for eternal punishment for anyone, hence universal salvation. As I said it can get complicated. Suffice it to say it was not so cut and dried at the time of the founders as Holmes’ points out when he discusses John Adams, our second President, a man many consider to be a traditional, even evangelical Christian. John Adams on a 2 Cent Stamp. In the final analysis, like a deist, reason was Adam’s final authority as opposed to the Scriptures carrying ultimate authority. Holmes classifies Adams as either a Unitarian Christian or Christian Deist. As we can see thus far it’s no simple matter to lump the founders in one camp or the other. Then like now are many competing theologies which is why there is a plethora of denominations, sects, and cults all claiming to be Christian. Would Adams be considered to be a Christian today? In our self-defining world and desire to accept nearly everything as truth the answer is yes he would. Would he be a Christian to those who hold to the Doctrine of the Trinity and as importantly the divinity of Christ, the answer is no.